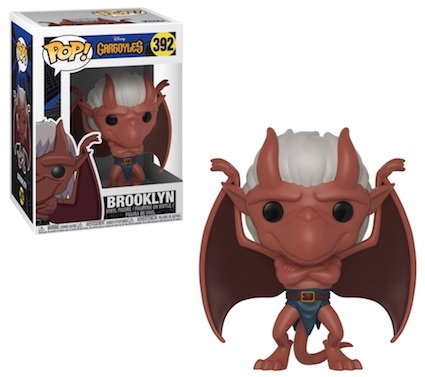 Product DetailsThe winged creatures again take flight with Funko Pop Gargoyles. 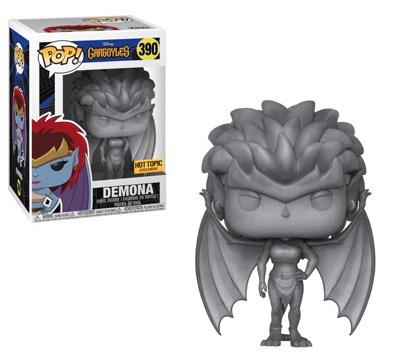 Highlighting the 1990s cartoon series, Goliath, Demona and Hudson are among the vinyl Disney lineup. 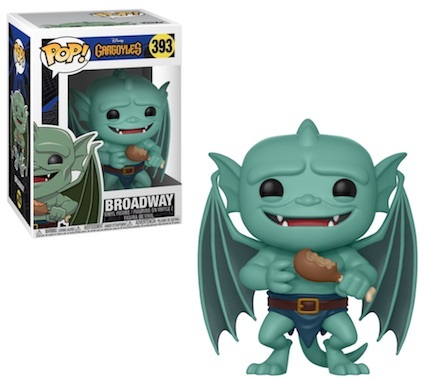 Centered around the story of the ancient creatures thrust into modern day New York City, Gargoyles features many of the subjects that roam freely at night but turn to stone during the day. 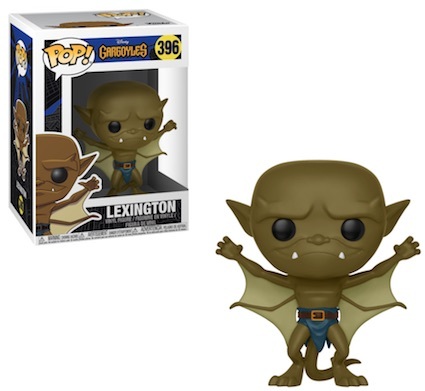 This is even showcased via several exclusive variants. 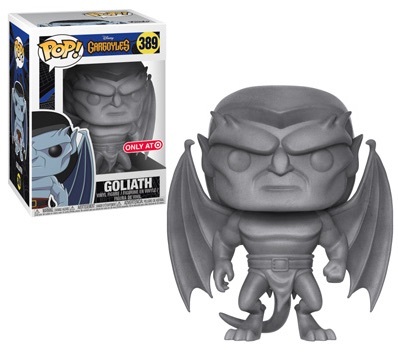 Shop Funko Gargoyles Figures on Amazon. 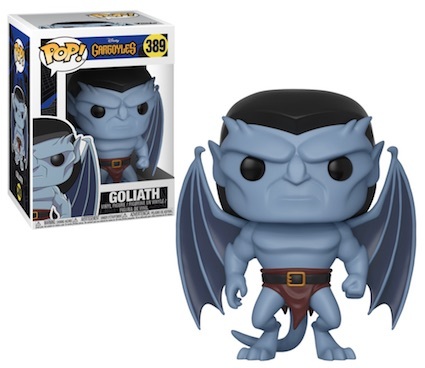 Many of the main names make the Funko Pop Gargoyles checklist, including Goliath, the leader of the Manhattan Clan, formerly of the Wyvern Clan. He is joined by Brooklyn, Broadway, who is eating chicken with a smile, Bronx, and Lexington. 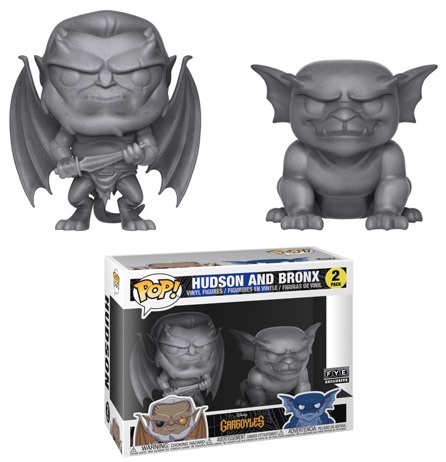 The main figure for Hudson is a Specialty Series exclusive. 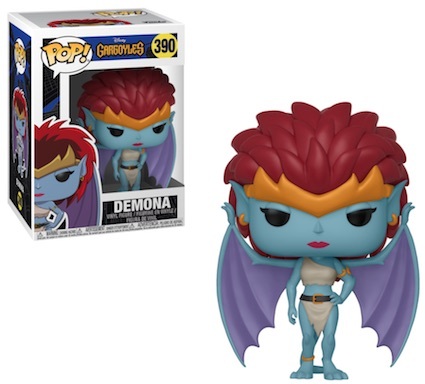 Demona, Goliath's former mate and current adversary, is very colorful with her blue skin, purple wings and red hair. 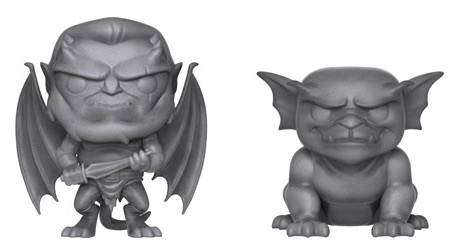 Funko Pop Gargoyles also has exclusive stone versions for key subjects, including Stone Goliath at Target, Stone Demona at Hot Topic and a Stone 2-Pack containing Hudson and Bronx at FYE. 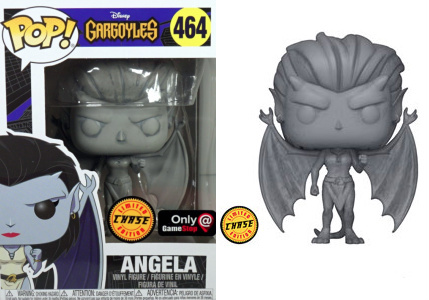 The base Angela figure (and stone chase) comes in the 2018 GameStop Black Friday Box. 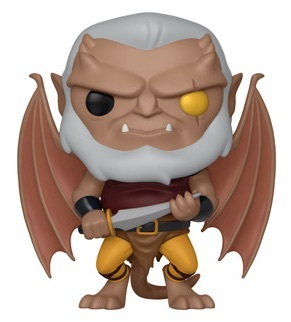 However, collectors who want to own the bad guy must wait longer for a possible David Xanatos figure. 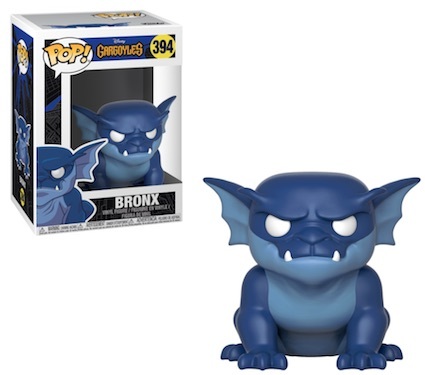 Shop online for figures using the below links for Amazon or eBay. 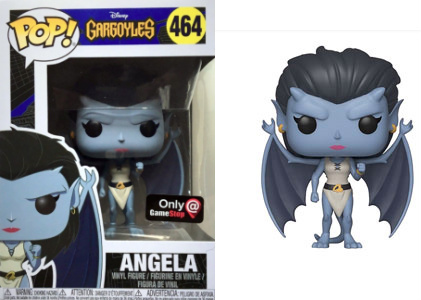 1995 (Kenner) Disney "GARGOYLES" (ELISA MAZA) Action Figure, NEW! SEALED! RARE! 1996 Kenner Gargoyles Hard Wired Xantos New In Box Vintage Free Shipping !! 1995 (Kenner) "GARGOYLES" (LION BRONX) "DELUXE BATTLE DOUBLES" Figure NEW! RARE!